The ironworks was mentioned in documents for the first time around 1600. Since 1755 it has been in the possession of the Offner family. will be the basic columns in the future. 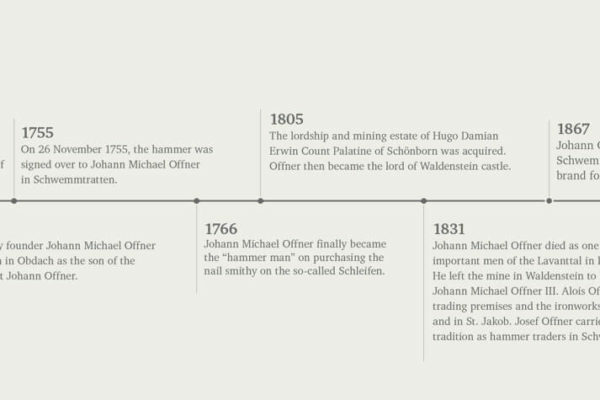 The Offner ironwork tradition can be traced back to the Middle Ages and was mentioned in documents for the first time around 1600. 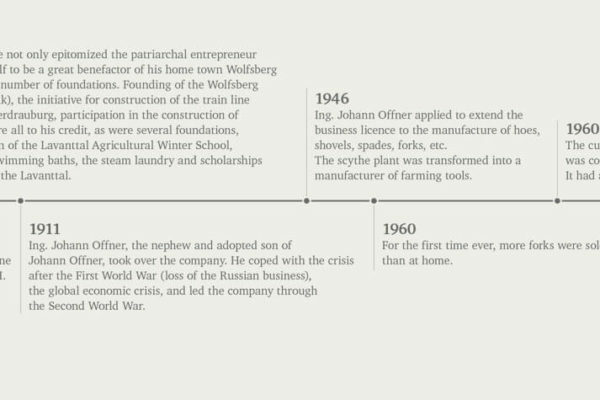 Since 1755 the company has been in possession of the Offner family and has been handed down from father to son since then. 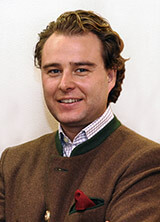 Today, the plant is run by Johann Offner, the eight generation of the Offner family. 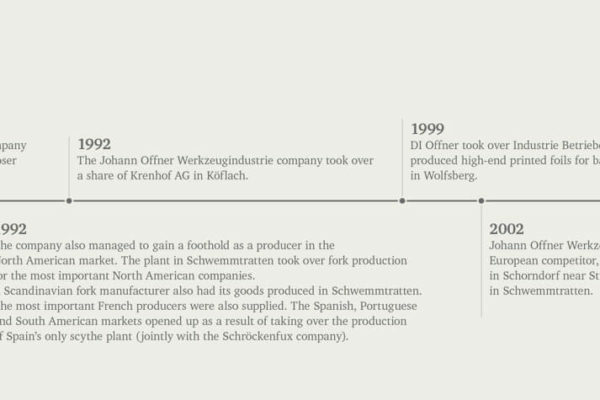 Originally the forge and ironworks produced steel, later nails and wire, scythes since 1870. Today a wide range of long-handle tools and snow-removal equipment is produced, whose quality is recognized worldwide. 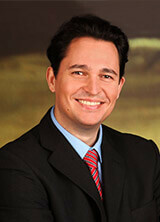 The company is even world market leader in fork production. 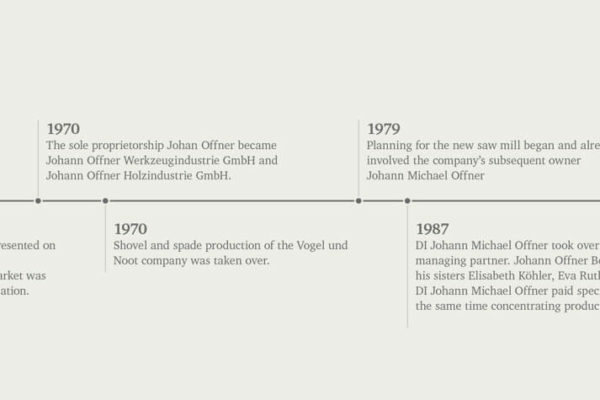 Furthermore, on the present site a saw mill was set up in 1960 which has been expanded over the generations and which today is one of the most efficient mills in the world. Since 2006 we can process approximately 800.000 m³ logs to sawn timber with latest technology and kiln dry to customer’s request. 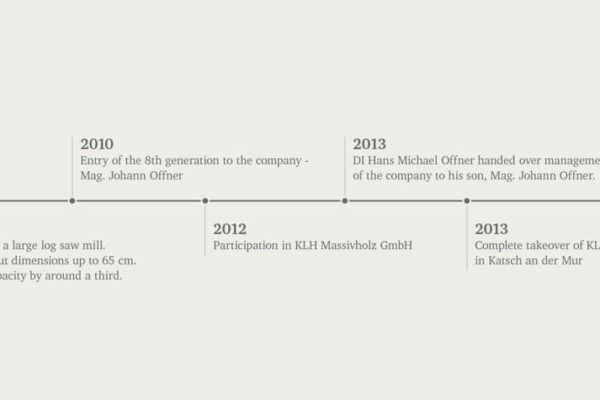 In the year 2013 and having directed the company successfully for nearly 30 years Hans Michael Offner handed the company to his son Johann Offner who currently manages the company together with executive managers – a solid basis for a responsible corporate governance.